Compassion fatigue (secondary trauma and burnout) occurs at high rates in the caring professions. 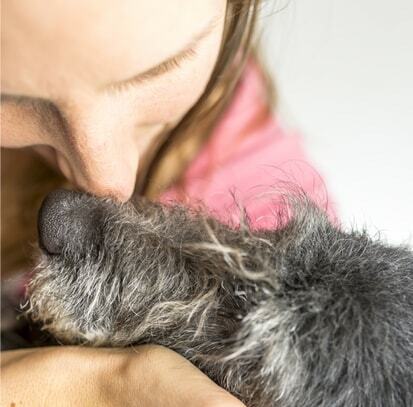 Exposure to death, cases of neglect and abuse, grieving and traumatised owners, long hours and large case-loads can make animal care professionals especially vulnerable. Compassion fatigue is defined as a form of stress experienced by those who care for suffering people and/or animals. The condition is often understood as an individual problem. Indeed, compassion fatigue is a personal experience and there are a number of individual risk factors that make one person more likely to experience the condition than others. The irony of compassion fatigue is that it’s the staff members who are the most dedicated, the most compassionate and the hardest working that are at risk. This may leave management feeling at a loss when it comes to knowing how to help their staff prevent and manage this form of caregiver stress. There are however, a number of steps that management can take to help staff cope with this condition and promote a happier and more resilient workplace. Acknowledge that compassion fatigue is an occupational hazard just like cat scratches, dog bites and zoonoses. 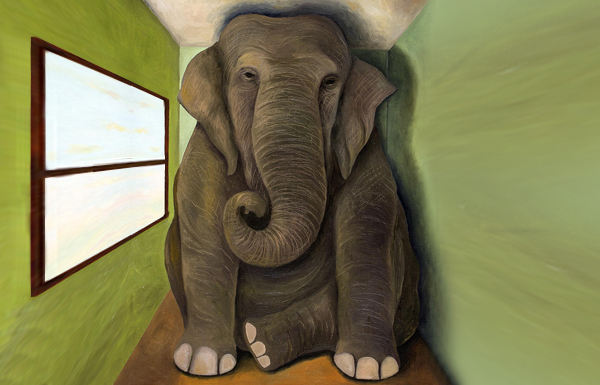 Let’s talk about the elephant in the room. It can be such a relief for staff to know that there is a name out there for what animal care professionals are experiencing. It’s even more of a relief for staff to know that they aren’t the only ones experiencing difficulties. Next, make a formal commitment to staff that you will take steps to manage this hazard in the workplace. Open the channels of communication and ask staff for ideas and suggestions on what conditions or policies they think need to be changed or implemented. A caution here is that, it may not be possible to implement all staff suggestions. For example, a suggestion may be to hire more staff which may not be possible with current resources. If this is the case, then management can acknowledge the suggestion and explain reasons why this is not feasible. An alternative may then be offered. Making greater use of volunteers or staff rotation may be some alternatives to hiring more staff for example. A necessary part of this first step involves taking stock. What are the current levels of compassion fatigue in the workplace? If your workplace is experiencing the following, compassion fatigue may be at high levels. You may wish to openly discuss with staff their experiences of compassion fatigue in an informal manner. Staff meetings, workshops or one to one discussions may present opportunities to open the discussion. Ask staff to monitor their own levels of compassion fatigue. The Professional Quality of Life scale (PROQOL) is free, easy to use and measures two aspects of compassion fatigue: secondary trauma and burnout. Offering these tools may be a great way to encourage self-awareness and reflection in staff. Two qualities linked to reduced levels of compassion fatigue. An added benefit of this tool is that it also measures a positive aspect of work called compassion satisfaction. The satisfaction people get from helping and caring for other people and/or animals. As a compassion fatigue consultant, I’ve had a pleasure of working with a number of organisations to implement steps 1 and 2, which has led to enormous benefits. In Part 2 of this article, I’II discuss some additional steps management can take to help staff prevent and cope with compassion fatigue. Shelter Employee Engagement and Development Survey (SEEDS). (nd.). What if … Stress and burnout scores are high? Skovholt, T. M. (2001). The resilient practitioner: Burnout prevention and self-care strategies for counselors, therapists, teachers, and health professionals. Boston: Allyn & Bacon. Professional Quality of Life Scale (PROQOL). (2009). [Adapted for animal care professionals]. Compassion fatigue and burnout in animal trainers and behaviour consultants: When it’s not all puppies, rainbows and unicorns. Things are not always as we think they are: How thoughts affect our work life.